Last month when I wrote about the bike handling benefits of riding in the snow, I realized that the section on winter bike commuting was going to be much longer than expected. Today’s follow-up to the go ride in the snow column takes a look at riding to work and around town when the winds of winter come calling. Bike commuting has many benefits ranging from improved health to helping the environment to, over the long term, hopefully saving money. This column takes a look at bikes, tires and some of the gear you need to think about to be ready to take your commuting into the winter months. It also offers some ideas for how to be economical about winter commuting, thus making the winter wonderland accessible for all. Many cyclocrossers and gravel riders love tinkering with bikes and trying new gear, so winter commuting is a chance to extend that DIY ethos into a new season. Just like with gravel, pretty much any bike can be a winter commuter and any tire can be a winter tire. It comes down to personal preference, local winter conditions and perhaps what is available. 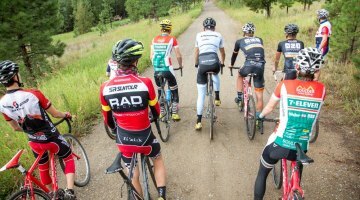 One subset of riders the DIY winter bike may appeal to is those who race gravel and cyclocross competitively. 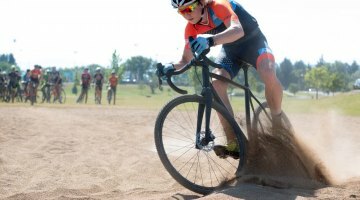 Yes, it would be great to repurpose an old steel bike into a gravel bike or put together a cheap cyclocross bike, but they are not the kind of rides you will see winning the Dirty Kanza 200 or Cyclocross Nationals—at least not recently. Putting together a winter commuter could provide a chance for racing-inclined riders to have some fun of their own. When choosing a winter commuter, you obviously want something that can handle a variety of conditions and withstand the salt and sand that blankets roads during the winter. That said, your nicest race bike is probably not a good option. A singlespeed and its one-gear simplicity, however, might be the right choice. 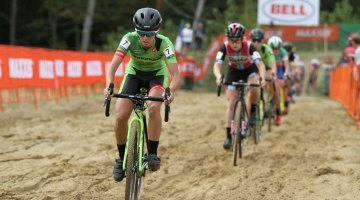 Since this is *checks notes* Cyclocross Magazine, a good place to start is with a cyclocross bike. ’Cross bikes are becoming more racey, but older frames (and some newer ones) built for versatility are a good fit for winter commuting. I personally have a 2013 Blue Norcross that fits 40mm-wide tires and has mounts for racks and a fender that works quite nicely as a winter bike. 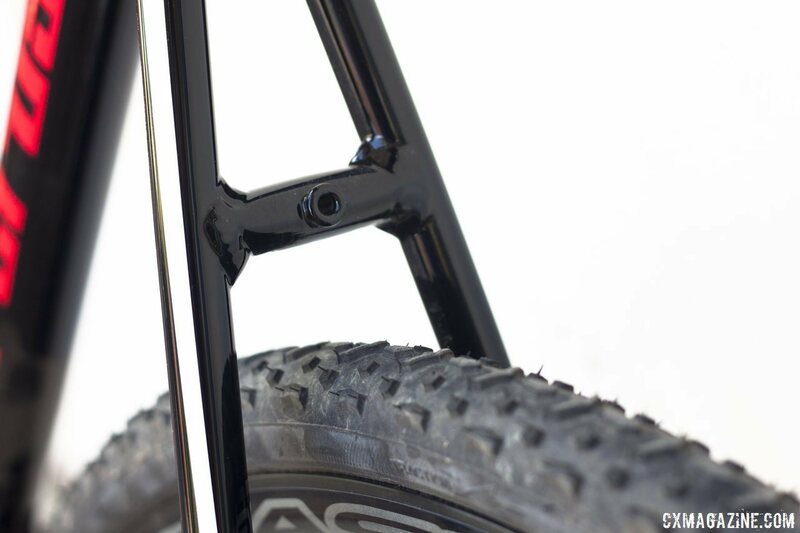 With folks continuing to upgrade to disc brake, thru-axle bikes, you might be able to get an old alloy, cantilever ’cross frame at an affordable price. Or, if you are upgrading yourself, keep the old bike around as a winter commuter and maybe a B bike on race day. Another choice that might be relatively affordable is a repurposed 26″ mountain bike. With most mountain bikers riding 27.5″ or 29″ wheel frames these days, many old 26″ mountain bikes need a new home and new purpose. These frames have plenty of clearance for wide, knobby tires, making them a good choice for winter conditions. One option that came to mind that would make a fun project is a winter commuter monster cross bike. 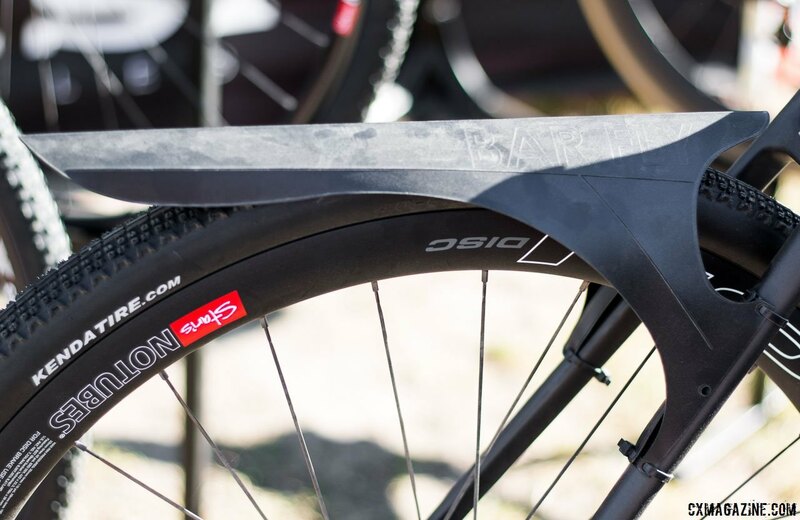 The high-volume tires of a monster cross bike are perfect for handling mixed winter conditions, and the wide dirt drops can help provide a stable platform for those post-snow days when conditions are sketchy. These are only some of the options available. I have heard of folks riding road bikes with 23mm tires to cut through the snow, fat bikes to go over it and … well, I have yet to see a unicycle winter commuter. I am sure they exist. 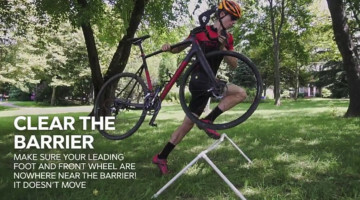 Cyclocrossers and gravel riders also love nerding out on tire choices. Well, why let your tire nerdom take a break from December through March? What makes the best winter tread? Cyclocross? Gravel? Mud tread? Intermediate? High-volume? Narrow? That is a good question. 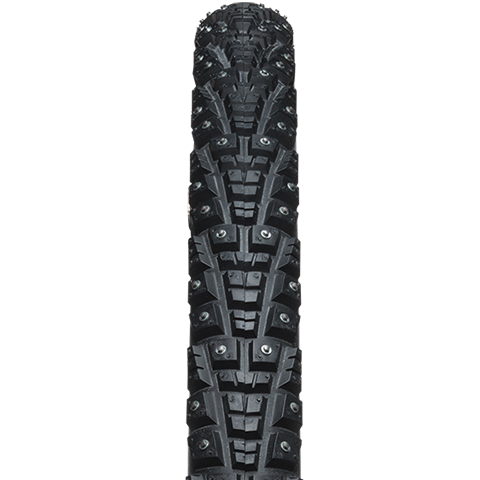 Any discussion of tires for winter commuting starts with studded tires. 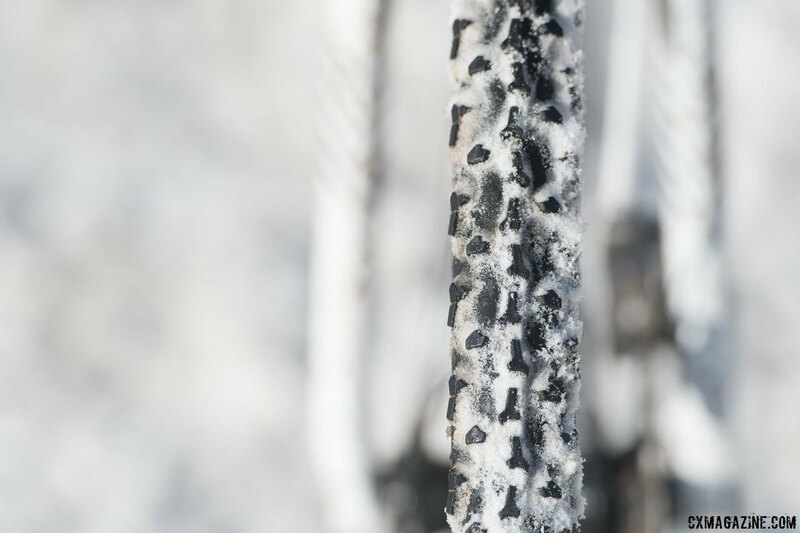 Ice and particularly black ice can turn any winter ride into a disaster in an instant, so studded tires are an obvious choice to help provide traction on the ice. I personally have never owned studded tires and have managed to fall down roughly 1.5 times per year (a number I guess I am okay with?) with regular cyclocross/gravel tires. I asked around my local scene, and generally speaking, my conclusion is folks who do not ride studded tires are those who are in or were in grad school. Everyone else who actually had a few extra dollars to spend paid for the extra safety of studded tires. My vote is that if you are new to bike commuting and can afford it, studded tires are a good choice. 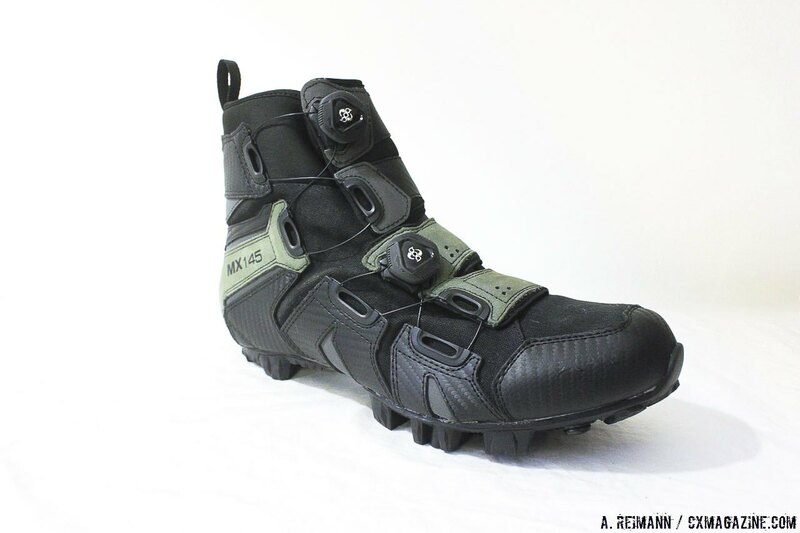 The extra confidence they provide will help make acclimating to riding in rough winter conditions that much easier. If you opt to forgo studded tires, well then all the cyclocross and gravel tires out there are your oyster. Folks I asked have ridden file treads, intermediate treads, mud treads and gravel tires and survived the winter with all of them. The choices are many and are likely different based on the individual. If you are looking to do tires on the cheap, a one go-to is the annual bike swap. It is, for sure, a more adventurous way of choosing tires—you never know what you’re going to get, and all that—but a pair of tires for $25 is a pair of tires for $25, which is a golden deal when you are on a limited budget. Finally, a fender or rear rack will help keep the spray off your back. Front and rear fenders do not fit on every bike, so in a pinch, a detachable rear fender should do. Or you can always DIY. You’ve got the bike, you’ve got the tires, now it is time to get dressed. As mentioned above, having (or not having) the right gear will make or break a winter bike commuting experience. Many of these recommendations are borne out of the harsh reality of being really really cold, the others gleamed from watching others. This list is likely missing a few items, but it is a place to start when thinking about what you need to stay warm while cruising around in the cold winter temperatures. For some items, it is worth paying for quality. For others, being practical is likely the best approach. First off, gotta have a good pair of gloves. Anyone who has skimped on gloves can tell you stories of frozen fingers and much regret. The challenge of finding a good pair of warm gloves for cold, wet cyclocross conditions is well documented. 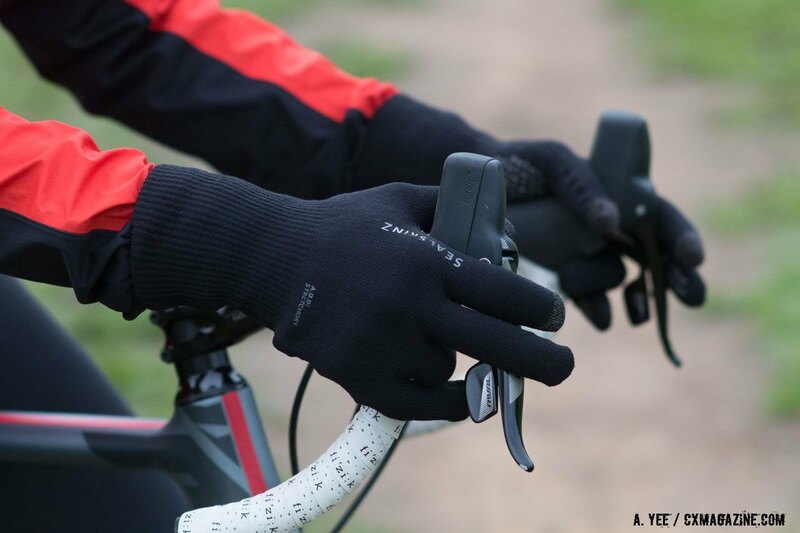 Fortunately, you do not need as much finger dexterity while commuting as you do for racing ’cross, so you should be able to focus on warmth. You can go different routes with gloves. Cycling apparel companies make gloves specifically designed for winter biking, including the well-known lobster-claw design. Non-cycling winter mittens can also be a good option, especially if they are the kind that has a free index finger. Another option that is very popular among committed commuters is Bar Mitts. The hand warmers that attach to your handlebar provide another layer of wind and moisture protection for your hands while riding. Gloves are an item you should invest in. If you are doing your commuting on a budget, a good pair of winter gloves or mittens could make a good holiday or birthday gift request. Whatever it takes to get a higher quality product to help keep your hands warm. Few things are worse than sitting through a work day with cold, wet feet. Having a good pair of waterproof boots is a must for winter commuting. For those with longer commutes, clipless pedals and a pair of winter cycling boots might be the best choice, while those with shorter commutes can get away with flat pedals and a pair of regular winter boots. You will definitely want something that is actually waterproof and actually insulated, i.e. don’t skimp. This is another item that is worth paying for quality. If you are going to go the less expensive route, stores like REI often have deals on boots for under $100. Definitely look around. Wrapping your feet in plastic bags on wet days is also a budget option. Most folks who live in cold places already have a winter coat, and for shorter commutes, a regular coat should work just fine. For longer commutes, it turns out that with several layers and winter coat on, you can get quite sweaty while riding around in the cold. Winter cycling jackets are an option, but because of their quality construction and dedicated purpose, they can be quite expensive. Finding a lightweight winter jacket may take some creativity and looking around. 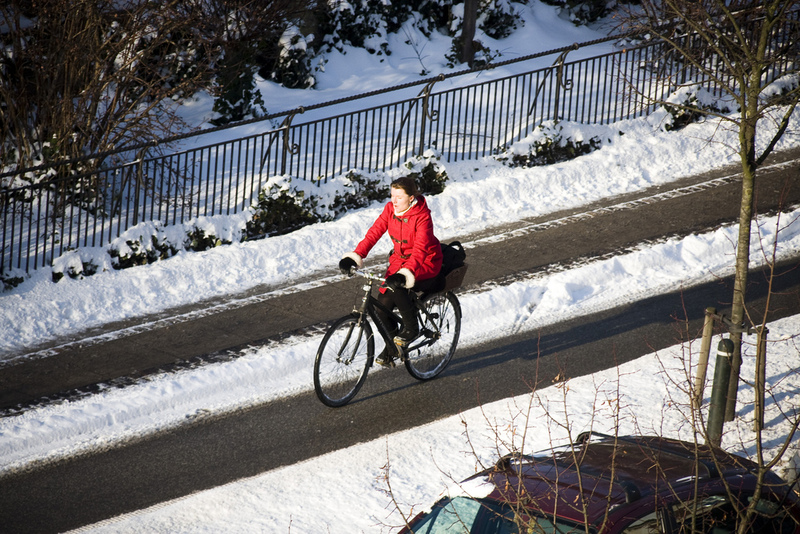 Riding around on a bike in sub-freezing temperatures can leave your legs pretty exposed, so layering up is a good idea. When I moved to Wisconsin, I quickly learned that wearing a pair of long underwear or running tights was a must during the winter. In fact, I am still scheming my cow-themed line of long underwear called ‘Sconngerie, if this current profession does not work out. A good pair of running tights or two will work, or if you are looking or the cheaper route, the more old-fashioned long underwear will do the trick as well. Waterproof pants are also a nice thing to have when riding in the snow or when conditions are sloppy. It is probably not necessary to reinvent the wheel—a pair of waterproof rain pants can pull double duty for warm-weather commuting, and likewise, a pair of waterproof warm-up pants can also keep you dry when commuting. Now that we’ve kept our hands warm and feet dry, it is worth turning attention to the face. A good balaclava helps keep wind off your neck, your ears warm and most of your face protected from the wind. A neck buff will also do the trick when temperatures are near freezing or warmer. When it gets really cold, you want as little of your face exposed as possible. Even with a balaclava, your ears will likely still get cold. 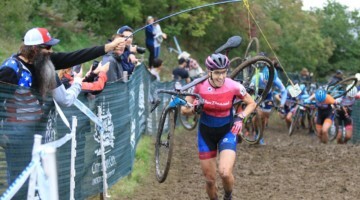 Most of us likely have a headband or something similar to cover the ears during spring rides and ’cross races, and that should be able to pull double duty while commuting. Finally, to round out clothing, after many frozen tears and cold eyes, I highly recommend getting a pair of ski goggles. The wind on the area around your eyes is absolutely brutal. The ski goggles do not need to be anything special. If you are looking to save money and do not already have a pair, ask around or check out sales at the local ski shop. They do not need to be stylish or the best, they just need to keep the wind off your face. I also once met a woman who had a giant pair of eyeglasses for the sole purpose of keeping the wind off her face while winter commuting. I guess there is more than one solution to the issue. Having the right gear makes cold-weather riding a much more inviting activity. With the right protective clothing, winter commuting can be a great way to keep your outside riding going year ’round and beat the winter trainer doldrums. The list I have put together here is by no means comprehensive, but hopefully it is a good place to start. There are certainly more bikes and tires that will work for winter riding and other gear that will help make the experience worthwhile. And if you are on a budget, hopefully some of the ideas shared here have helped show winter commuting can be done right in an economical fashion. 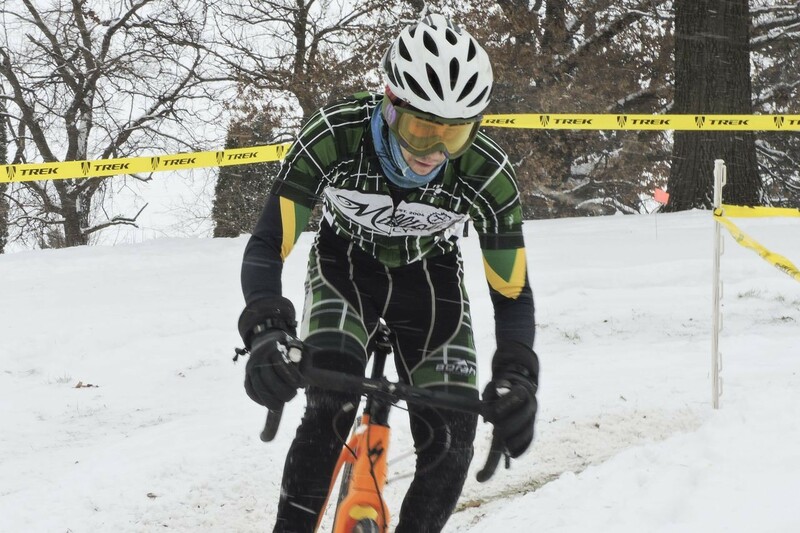 A great article and right about the goggles, they make a huge difference by providing wind protection plus a thick layer of highly insulating air across 50% of your face. It is vital to keep your head and neck warm, up to 50% of your body heat. Hands. You may have the best gloves ever made but your hands will always sweat. Then your gloves quickly become damp and cold when the insulation brakes down. You cannot prevent this. Changing into a spare pair works for a short time again. For longer rides. After years of experimenting, I found that only gloves HIGHLY able to breath, will stay dry, keep their insulation and remain warm. My favourites are thick wool or fleece mitts, plus an inner glove of thin fleece, with fingers. Riding alone in sub zero temperatures is of another world, take advice only from highly experienced and qualified personnel such as in this article.